1. 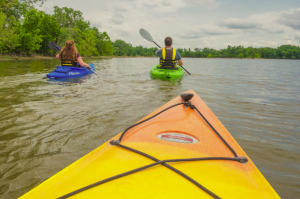 Kayaking: The Kansas River Trail is one of the longest prairie rivers in the world, the Kansas River provides countless opportunities for outdoor fun. The river trail offers a new perspective – from the river itself – explore the unique beauty of central and eastern Kansas. Have a close encounter with birds and other wildlife, while taking a plunge on some of the more adventurous parts of the Kansas River. The Arkansas River Trail is perfect for a memorable day-trip on the water. 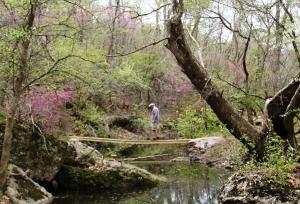 Experience the nature of southwest to south-central Kansas on the Arkansas River. Wander down river, explore sandbars and enjoy the river’s company! 2. Switchgrass Mountain Bike Trail: Experience different levels of mountain biking at Switchgrass Mountain Bike Trail in Wilson State Park. Roll through red sandstone rock formations, fly by native flowers and wildlife – intermediate to challenging, scenic, single-track mountain bike trails. If you like mountain biking, you’ll love this trail! 3. Kanopolis State Park: The Buffalo Tracks Nature Trail at Kanopolis State Park is one of the best family hikes in Kansas. It passes along a clear stream, sizable caves, and beneath jagged cliffs adorned with wild flowers. Kanopolis State Park is also known for its horse trails. Set amid tallgrass prairie and strawberry-colored canyons, the park offers easy access to more than 20 miles of horse trails. 4. 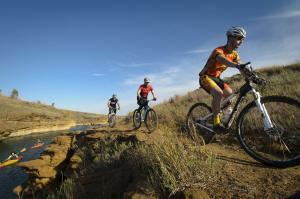 Elk City Trails: Elk City State Park is well known for its diverse trail systems. Visitors can enjoy the Eagle Rock Mountain Bike Trail, Post-Oak and Green Thumb Nature Trails, and the Table Mound Hiking Trail. Also, nearby is the Elk River Hiking Trail, a 15-mile trail from the west end of the dam south of Elk City. 5. 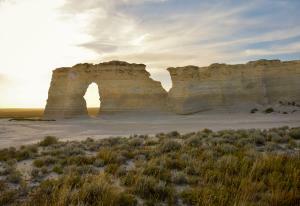 Rock Formations: One of the 8 Wonders of Kansas, Monument Rocks National Landmark tells tales from an ancient past of the inland sea that once covered Kansas. 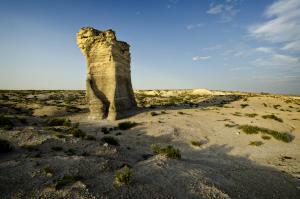 The cretaceous chalk formations, Chalk Rock Towers and Butterfield Trail Marker tower high above the plains over 100 feet in the air. Castle Rock, also voted one of the 8 Wonders of Kansas, is a lofty calcareous limestone bluff that has the appearance of an old English castle. The chalk bluffs are a fossil hunter’s delight. 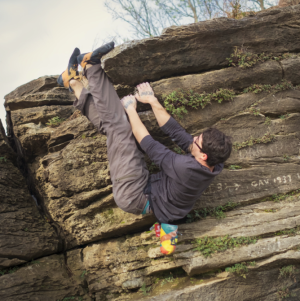 Comprised of over 200 huge concretions, Rock City Park is a national natural landmark. The interconnecting mowed trails wander through the native grasses and wildflowers. Kids of all ages can climb on rocks the size of a house. 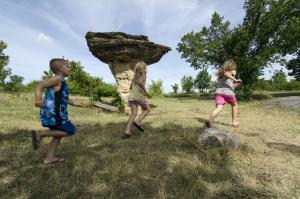 Mushroom Rock State Park & Reservoir features striking rock formations that abruptly rise from the Kansas prairie. Erosion through the eons has shaped the “mushrooms,” some of which are nearly 30 feet around. 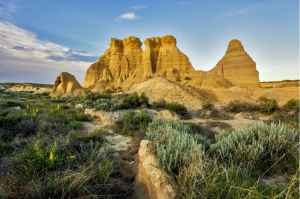 The largest Niobrara Chalk formation in Kansas, also known as Little Jerusalem, is hidden in a valley between Scott City and Oakley. The mile-long stretch of 100-foot-tall spires and cliffs at The Nature Conservancy’s Smoky Valley Ranch will soon open to the public. It’s a Kansas must see! 6. Rails to Trails: In recent years rail-trails have welcomed cyclists, runners, walkers and anyone seeking a unique outdoor experience. 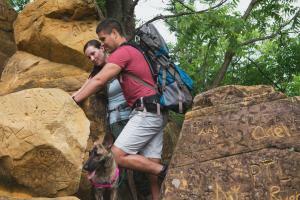 In Kansas the Prairie Spirit Trail and Flint Hills Nature Trail are not to be missed. 7. Camping: Kansas state parks provides visitors an opportunity to see the natural beauty of this amazing state. Kansas’ 28 state parks feature lakes, hiking, horseback riding, scenic landscapes and much more, all easy to enjoy from a camper or tent. 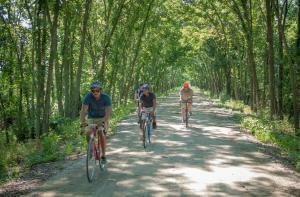 The state parks system includes a rail-trail, historic structures and events. 8. Wildlife Watching: Cheyenne Bottoms Wildlife Refuge is part of the National Wetlands & Wildlife National Scenic Byway drive. It is a 41,000-acre lowland area containing the largest system of wetlands in Kansas. It is the richest wetland feeding grounds in the central flyway and is frequented by some 320 species of birds. 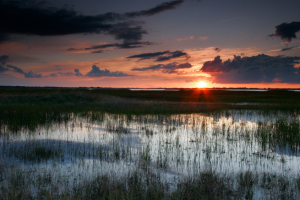 The Quivira National Wildlife Refuge encompasses 22,135 acres and is managed primarily to provide migratory waterfowl with food, water and shelter. Other migratory birds, endangered species, and wildlife also benefit from habitat management programs. More than 300 species of birds have been observed on the refuge. 9. 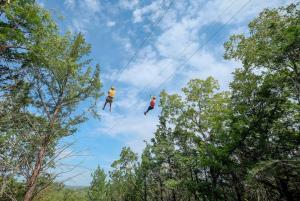 Zip lines: Soar high above the bluffs of the Kansas River with Zip KC! Reach speeds up to 50 mph on nine zip lines that stretch over 5,800 feet. Experience a high-flying adventure! Zip lines, a free-fall, and epic hiking in the beautiful Flint Hills – sounds like an awesome experience! At Wildwood Outdoor Adventure Park the views are spectacular. As you make your way through the course the guides will explain many aspects of the Flint Hills including trees, plants, wildlife, the grasslands, spring burnings, quarries and geology. 10. Hunting: Some of the best hunting in the nation is right here in Kansas! With 300,000 acres of public lands and more than 1 millions acres of private land seasonally open to hunters, there are an abundance of hunting options. Additionally, Kansas has approximately one-half million acres of Professionally Managed Hunting Facilities providing private fee-to-hunt access.